DNG Stained Glass was established in 2014 by David Green, after leaving over 20 years of full time employment to follow his own career. During that time, he worked for a number of reputable studios, that would take him all over the UK and overseas, working at some of the most highly regarded heritage sites and prestigious buildings. After graduating with a HND in Architectural Glass at Glyndwr University in 1992, he became a freelance glazier before moving on to Linley Stained Glass in North Wales. After a number of years, the journey took him on to work for the Cathedral Studios at Canterbury Cathedral, Chapel Studios and Owlsworth IJP, before deciding to settle in Buckinghamshire. The studio specialises in traditional glazing techniques, the restoration & repair of stained glass and leaded glazing, including new design commissions and certain aspects of modern glazing. The main bulk of our work is concentrated around churches, heritage and listed buildings, so other parts of the services we provide, are condition reports, specialist cleaning in situ and window protection, which can be organised on request. We also have a close network of collegues in other traditional skills, such as stone, metal and timber, which we can bring onto any project if required. 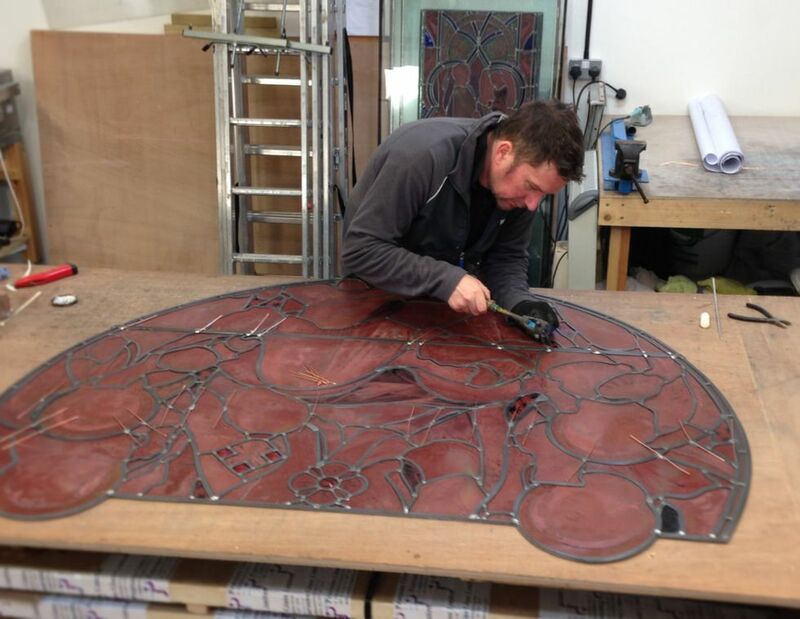 DNG Stained Glass is based close to the borders between Buckinghamshire, Oxfordshire, and Northamptonshire. We cover these counties, surrounding areas and travel further afield for large or long term projects.